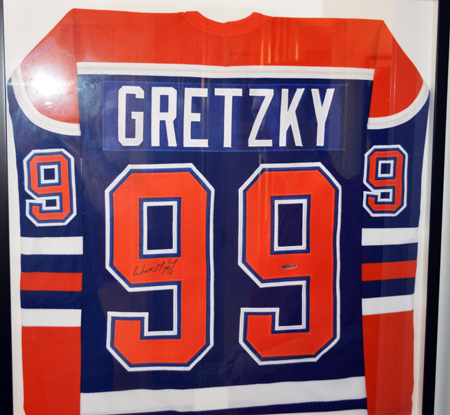 Take a Look at the Best Wayne Gretzky Collection You Are Likely to Ever See! 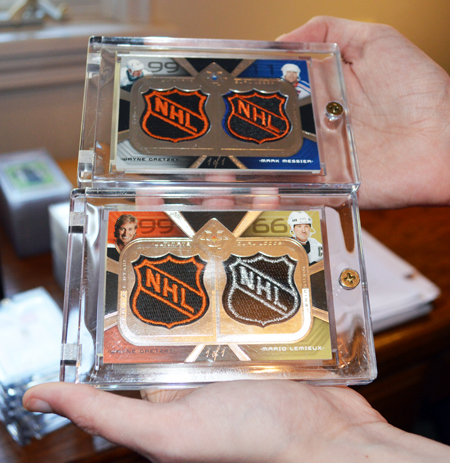 We’ve featured Jeffrey Griffith before on the Upper Deck Blog, but he remains one of the nicest collectors you will meet in the hobby and when he allowed me to come to his house to check out his incredible collection of Wayne Gretzky cards and memorabilia, I was immediately excited. I had heard about the collection and seen pictures, but to experience it in person was absolutely awesome. 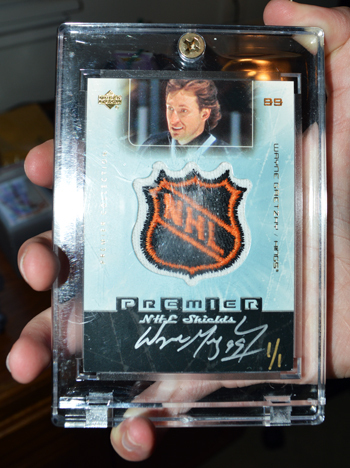 Jeff pulled out one after another of show-stopping inserts of Gretzky from various Upper Deck products over the years, it was unbelievable. And luckily I brought cameras to capture the collection with, check this out with the understanding that this is just part of the collection, wow! 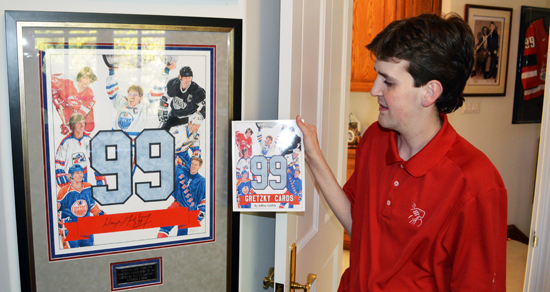 Jeffrey holds a copy of his Gretzky trading card book along with the original art for it that Wayne signed. 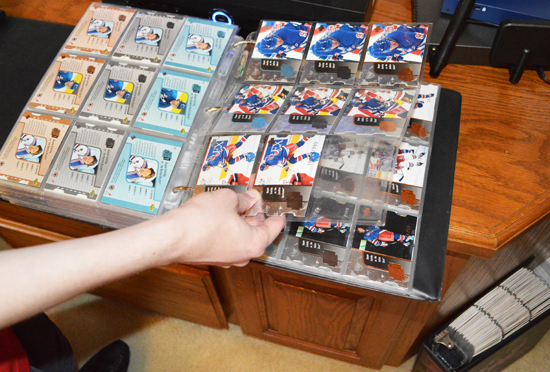 Jeffrey shared book after book with me filled with amazing sets of Gretzky cards. 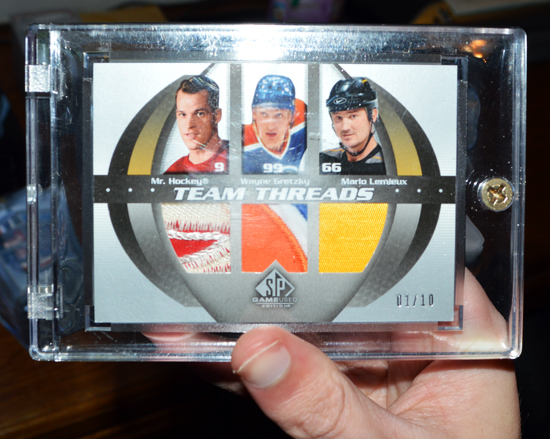 Holy great one, what an assemblage! 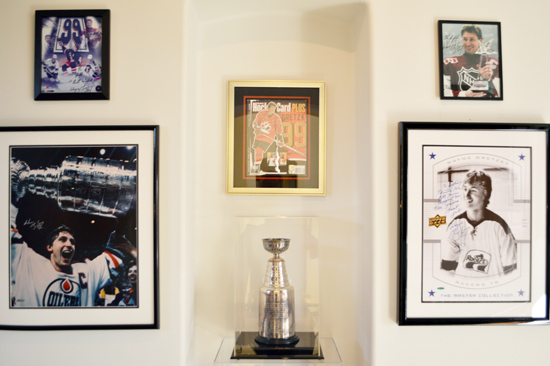 and I feel lucky to own blues ticket stubs from his time here and a few autos , gu and rc’s! Chilling!!! Thanks for the best ever clean collection i have ever seen. 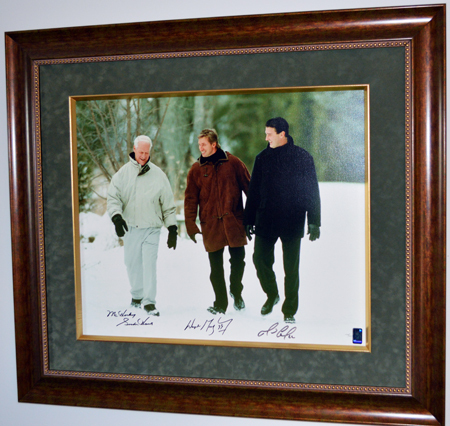 Jeffrey must be a blessing to his parents as i know The Great One items dont come cheap by any standard. 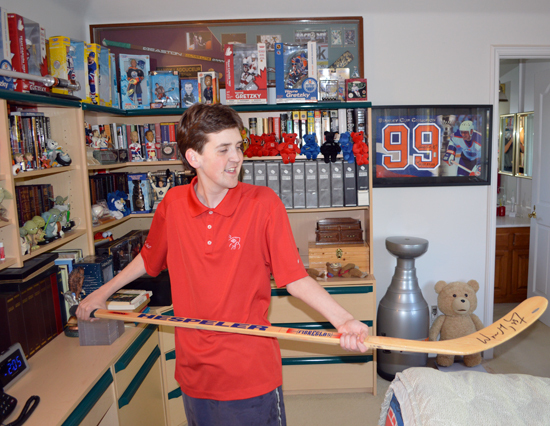 I am a Gretzky collector but not at this level!! WoW !! 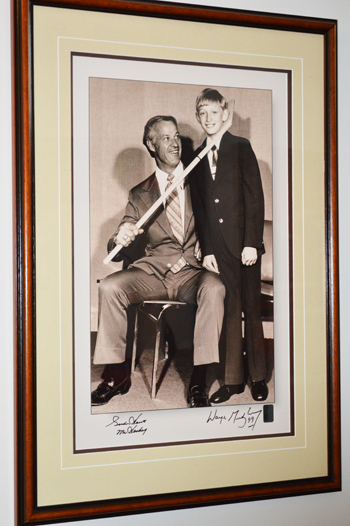 How do I get a copy of his book?